Cal Pump Stainless Steel and Bronze pumps are available in sizes ranging from 225 to 1200 Gallon per Hour and are suitable for use in Salt Water Applications. These pumps can be used in water temperatures up to 110 Degree F, are UL Listed and available with 6’ or 20’ cords. 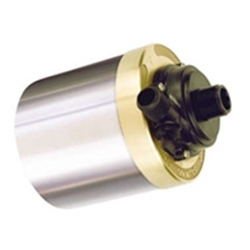 The Premium Stainless Steel and Bronze construction make this pump corrosion resistant and carry a 1 year warranty. 1200 gallon per hour stainless steel and bronze pump, 20' cord and viton seal.These items are custom made and not returnable.